Altior produced a phenomenal performance to win the 2018 Betway Queen Mother Champion Chase, as the Nicky Henderson-trained superstar fought off a brave effort from Min in the Grade 1 showpiece, which changed complexion when Douvan fell in the middle part of the race. 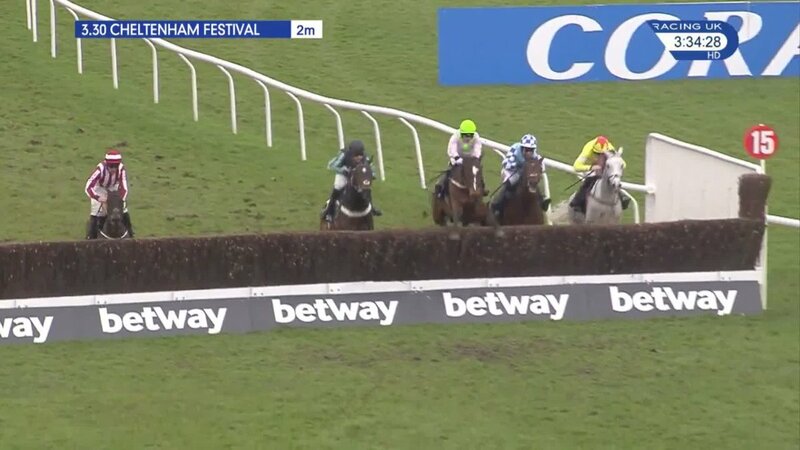 The clash between Altior, Douvan and Min was billed as one of the highlights of the festival, and when Douvan took up the running from Special Tiara in the middle of the race it was all set for an absolute humdinger of a renewal at Prestbury Park. However, Nico de Boinville would've had a number of worrying moments, as he always looked to be niggling away at the former Supreme and Arkle winner, who appeared to hate the rain-softened ground, but Douvan's fall down the back straight changed the race completely, as he guessed at a fence, and came tumbling down. As they turned down the hill it was Min who looked to be travelling the better, but Altior began to find his best work, and gradually reeled in his main rival, and duly scooted clear up the run-in to win with aplomb, with Min finishing second, and God's Own finishing past beaten horses in third. Altior pulling clear up the hill to claim a famous Champion Chase win.